Location: Soyans, in the Drôme departement of France (Rhone-Alpes Region). 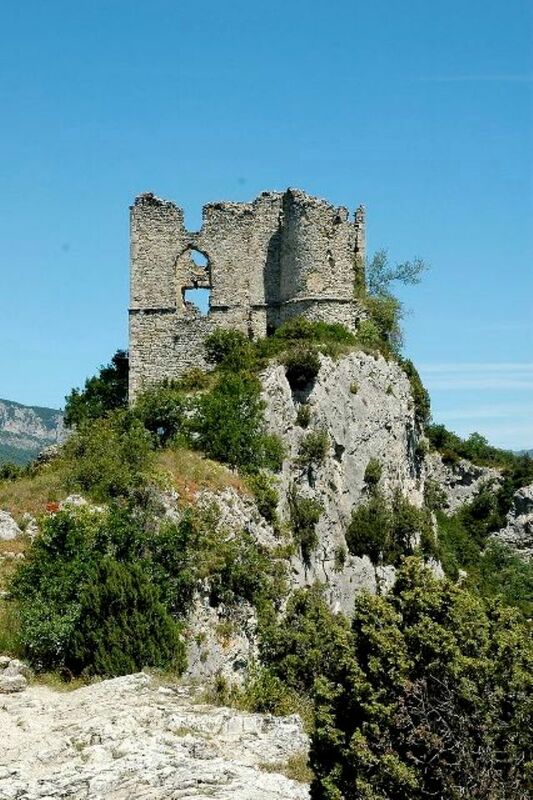 Notes: Château de Soyans are located in the municipality of Soyans in the Drôme department. The castle, the chapel Saint-Marcel and the plots of the rocky promontory on which they are located are subject to registration as historical monuments by order of 12 December 2013.